A large trophy with a larger reputation! 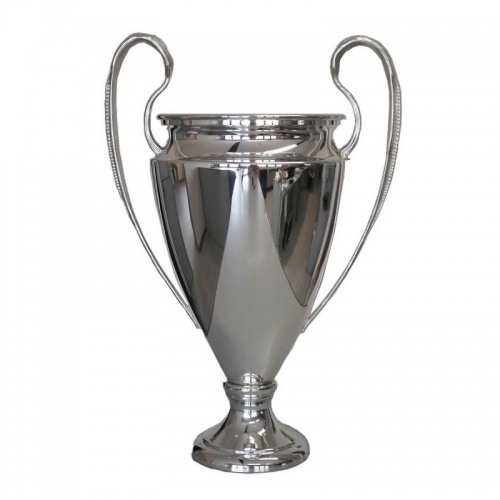 These 540mm tall trophies are not a replica of the European Cup (the trophy awarded to the winners of the Champions League) but they are similar in design. 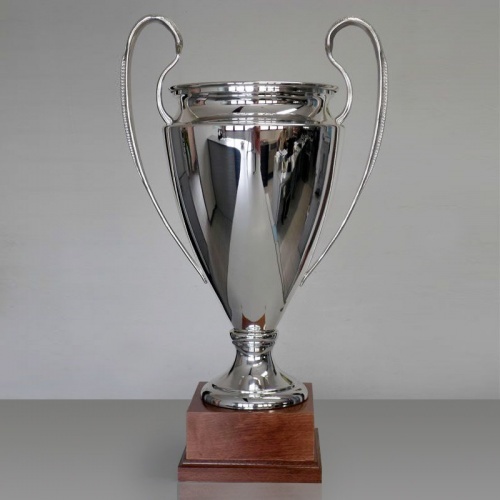 These trophies are crafted in heavyweight brass with a highly polished chrome plated finish on the body. They are supplied with a square shaped wooden plinth for display purposes. The trophy can be engraved on a plaque can be attached to the wood base.